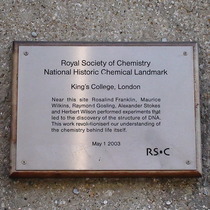 Near this site Rosalind Franklin, Maurice Wilkins, Raymond Gosling, Alexander Stokes and Herbert Wilson performed experiments that led to the discover of the structure of DNA. 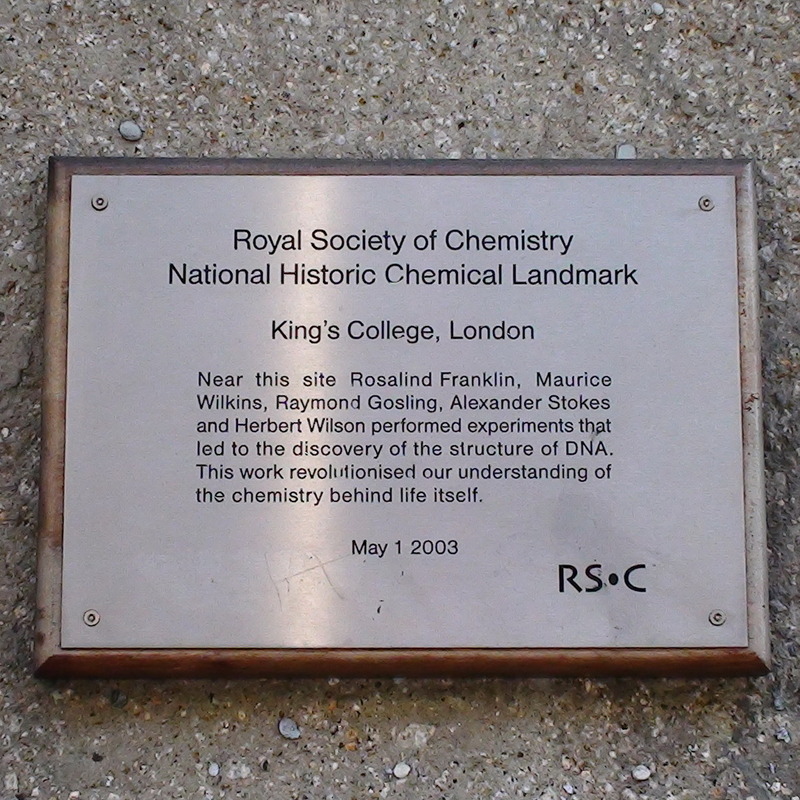 This work revolutionised our undersanding of the chemistry behind life itself. Quintus Roscius Gallus was a Roman actor c.100 BC. This is the house (formerly 12a) where he died.